Chael Sonnen (31-16-1 MMA, 2-2 BMMA) wants to be the next in line for Ryan Bader (27-5 MMA, 5-0 BMMA)! “Darth” officially became the first double champ in the history of Bellator MMA on Saturday night. He put Pride FC legend Fedor Emelianenko (38-6 MMA, 2-2 BMMA) to sleep via left hook after only 35 seconds in the first round. Ryan Bader stated even before the clash against “The Last Emperor” that he was interested in defending both belts if Bellator MMA allows. For now, his next rival is unknown. Yet, it looks like Chael Sonnen wants to be Bader’s next opponent. On Saturday night, shortly after Ryan Bader won Bellator Heavyweight Grand Prix, Sonnen took to his Twitter and challenged the new double champ, but deleted the tweet later. 3 left hooks then we start the fight. I still take your belt Bader. Quit calling out bums. But Sonnen then followed up with another tweet. It implies that Ryan Bader accepted his callout. Tnx for accepting. Wanna do it before or after your mom gets outta prison? Ryan Bader is on a hot streak, with seven wins in a row. In his last five fights, “Darth” defeated Phil Davis, Linton Vassell, Matt Mitrione, Muhammad Lawal, and Fedor Emelianenko. Chael Sonnen had ups and downs in his last four fights, with 2 wins and 2 losses. He was choked out by Tito Ortiz at Bellator 170 on January 21, 2017. Then he rebounded back with two unanimous decision wins over Wanderlei Silva and Quinton “Rampage” Jackson. In his last match, “The American Gangsta” was TKOd by Fedor Emelianenko in the first round. 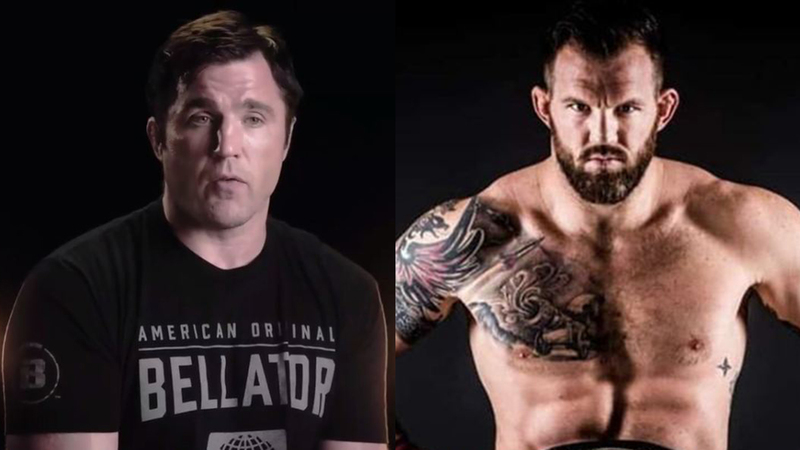 Would you like to see the fight between Ryan Bader and Chael Sonnen?